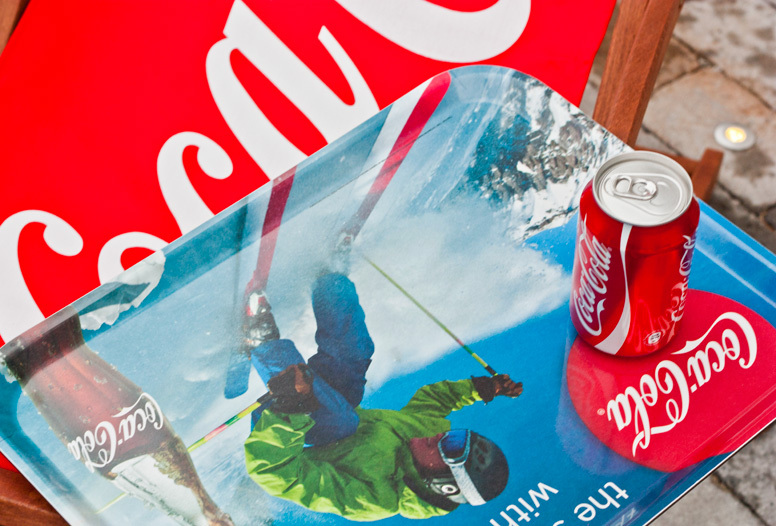 Since then I have, and still do, owned anything with a Coca-Cola logo: Calendar, iPhone cover, piggy banks, different bottles, lamp, radio and so on. Then one day at work, we got these new trays… I wanted to take one home with me, but I am not really the type who steals from my job. I still get to enjoy them every day, right? 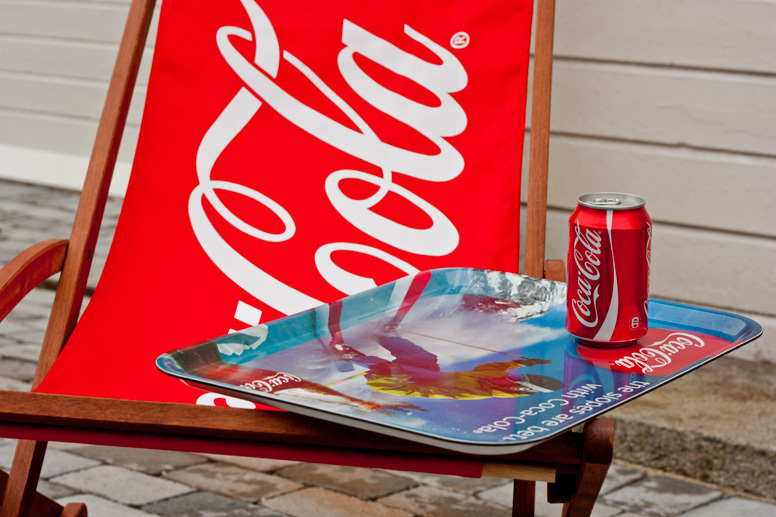 A couple of days ago another item was added to the Coca-Cola list, some supercool chairs! The first thing I said was; “PHOTO SHOOT!” – but this we didn’t have time for. Today, I was picked up from work before my hours were done. My boss and colleague “forced” me to go home because they could drive me. 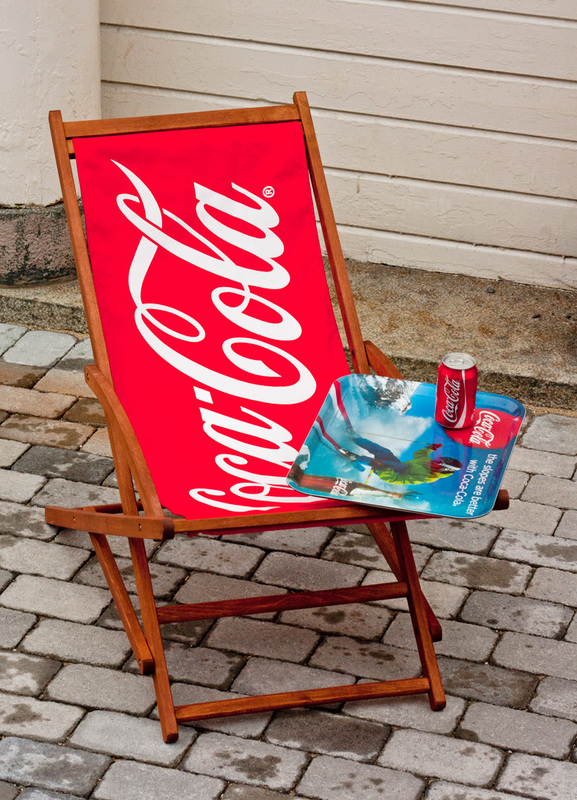 When I am nearly inside my house, they follow me, carrying one piece of chair, one piece of tray and of course one can of Coca-Cola! ← WHY HAS THE FONT CHANGED?